If you are looking for any online business to start with low start-up cost, then this post is ideal for those with a small budget. The era of the high cost of starting an online business is long gone with the advancement of technology. 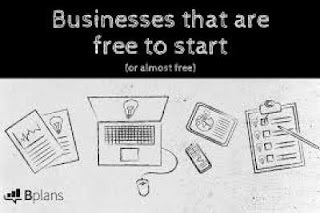 Thankfully, technology has created a level playing ground for all those who want to start an online business but with a small capital or budget. I have compiled 4 online business ideas for those with low startup capital. These ideas can be brought to reality with just your laptop and Internet connection. 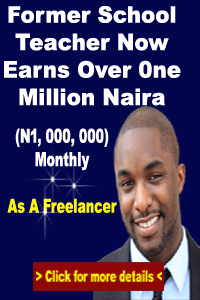 This is one business idea that has makes Thousands of Naira on a monthly basis. The reason is that I don’t bother selling my own product, I only sell what others have created, and make my money via juicy commissions in dollars. This is one of the online business ideas with low startup cost, and one of the most lucrative. If you don’t have a product (like I don’t have), with no idea on how to get, then I will show you how I make thousands of Naira without having my own product. If you don’t have an online store, it would cost just a little to set up for yourself. If you don’t have the cash, then you can follow my secret method and take all the profit for yourself without spending a dime. Open sources like WIX, Wordpress can also be of help when trying to design an online store. However, you would still be responsible for hosting your online store on the internet. I have listed other ways you can bypass these steps and still make a huge profit for yourself. This is one of the online business ideas for those with low startup capital. With several social media platforms coming up with great speed, several individuals are looking for those who are capable of managing their online platforms. The importance of a social media presence has created several business opportunities. It is hard work creating contents for social media. Then with several platforms to manage, you can end up making it a full-time business. Many companies require social media managers to help drive up the number of followers they have, create contents to keep them engaged and keep them active. You can then start an online business around this model without the need of much startup capital. All you need is just your laptop and expertise to create engaging contents. This online business is basically for those who have spent some certain amount of years learning how to code and develop websites. If you don’t fall into the above category, there are also other options for you. It is also possible for a non-tech enthusiast with no prior coding skills to develop and create their own applications. With the introduction of Mobile Apps Production Software, anybody can possibly develop their own mobile application. 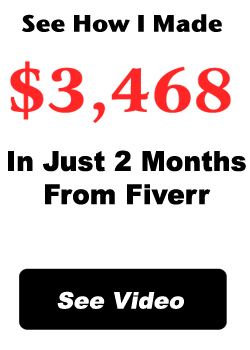 This then allows you to offer your services on several freelancing platforms like Fiverr and Upwork. The secret to making money on these platforms depends on knowing how they work. Coming in as an armature might cost you so much frustration and downtime, but once you know how it works, you can start earning as fast as possible. Instead of writing and collecting a one-time payment, you can keep getting recurring revenue by selling your books on Amazon Kindle. This business idea is good for those with low startup capital. All you need is just a book cover designer, and you are in line to earn money for a lifetime through your book. The more books you write and host, the more money you make. You can either sell the books on your online store or you utilize Amazon kindle. Whichever method you desire to use, you are in line to make good money for a lifetime. If you desire to either start up your online store or sell as an affiliate, I have written down this guide that would help you know all the secrets I use to make money. Once you start your online business, you make money without limits.